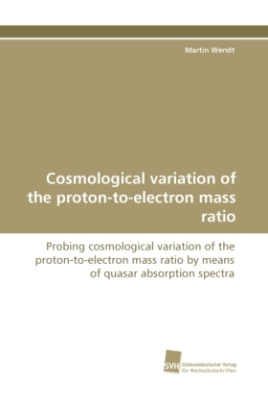 This work examines the methods and procedures involved in the determination of a possible variation of the proton-electron mass ratio on cosmological time scales. The studied object QSO 0347-383 is a bright quasar of 17th magnitude at a redshift of z = 3.025. Its spectrum shows absorption systems of high Hi column density leading to saturated absorption features with prominent damping wings. One of those DLA systems contains observable molecular hydrogen H2 apparent in optically thin absorption features. 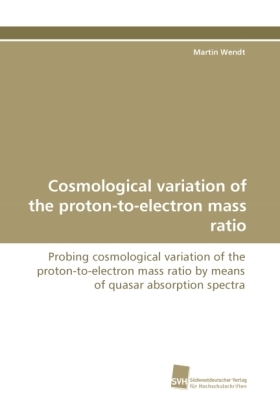 The variation of the dimensionless fundamental physical constant mu = mp/me can be checked through observation of Lyman and Werner lines of molecular hydrogen observed in the spectra of distant QSOs. The electro-vibro-rotational transitions of H2 depend differently on the reduced mass of the H2 molecule. A possible deviation from the local value of mu can be ascertained from exact measurements of the observed transitions. Self-consistency in data analysis and effective techniques to handle unknown systematic errors are essential. An analysis based on independent data sets is put forward and new approaches for some of the steps involved in the data analysis are introduced.